Over the past few days, ZSL and Project Seahorse staff have begun delivering emergency aid to communities in Panay, Bantayan, and Danajon Bank, three areas where no other external help is available. Because of our strong ties with the local communities — about 40 towns and villages in all, with a total population of 60,000 people — our team is able to provide aid and logistical support quickly and effectively. 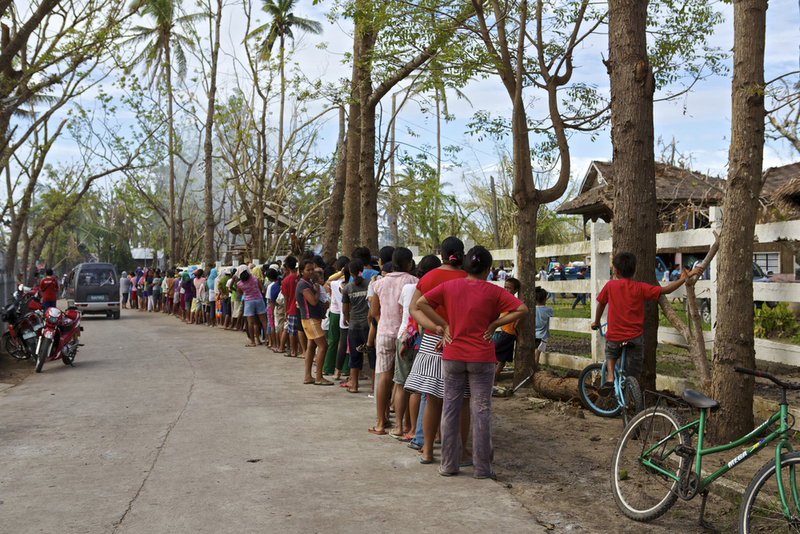 Yesterday we delivered rice and canned fish to a community in Panay that has lost 75% of its houses. Today we are sending off the first set of 2,000 relief packs to coastal communities in Danajon Bank. All aid is delivered by our local team, of whom about half are social workers. We co-ordinate with local government and work through community organizations wherever possible (many of which we have collaborated with on our marine conservation work). The situation remains difficult. Most of the storm debris have not yet been cleared, and in Danajon Bank and across Bohol province there have been 3,000 aftershocks (some as high as 5.1 magnitude) since last month’s earthquake. There is much work to be done. If you’d like to help, please consider donating to ZSL’s relief and recovery fund. The funds will go towards emergency relief and the longer-term recovery process. Thanks to the intrepid work of our field team, we can finally bring you images from Bantayan and Panay, two of the areas badly hit by Typhoon Haiyan, along with some photos of the earthquake damage to Danajon Bank. As mentioned in our previous post, several thousand homes have been destroyed in the coastal villages along Danajon Bank, and at least 75% of homes in Panay are gone. An update on the relief effort will follow later today. In the meantime, please share this post widely!